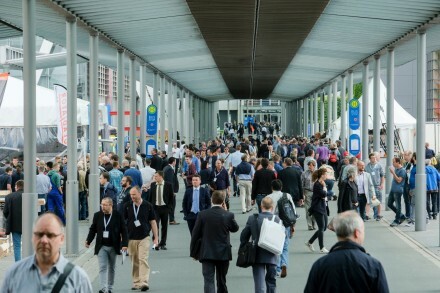 The next LIGNA is being staged from 27 to 31 May 2019, and its organizers, Deutsche Messe and the German Woodworking Machinery Manufacturers’ Association (VDMA Holzbearbeitungsmaschinen), have announced that exhibitor registrations are coming in at a very pleasing pace. While opening day is still about a year away, exhibition space at the world’s leading trade fair for machinery, plant and tools for the woodworking and timber processing industry is already more than 80 percent booked. To put that in perspective: LIGNA 2017 featured 1,520 exhibitors and occupied 130,000 square meters (1,400,000 sq. ft.) of display space. Highly integrated, interconnected industrial processes pose a number of new challenges. These, too, will be explored at LIGNA, because taking digitization seriously and spotting its opportunities are vital to recognizing and adopting new business models. The show will have a strong focus on the role of automation and digitization in combining the customer-centricity of product individualization with the economies of scale of large-series production. As well as enabling cost-effective batch-size-one production, these smart woodworking and timber processing technologies are yielding gains in energy and resource efficiency. There is a great deal of interest in these technologies at the moment, with the business climate looking very positive and the German Woodworking Machinery Manufacturers’ Association reporting healthy order books for 2018. The USA and China – the two most important export markets for high-tech woodworking machinery – are forecast to grow 8 percent this year. Apart from digitization, the main drivers of this boom for wood-industry technology suppliers are the worldwide megatrends of sustainable building and urbanization. In terms of attendance, the organizers are predicting a strong turnout, particularly from Germany, Poland and China – countries which in 2017 ranked among the show’s Top Five visiting nations.